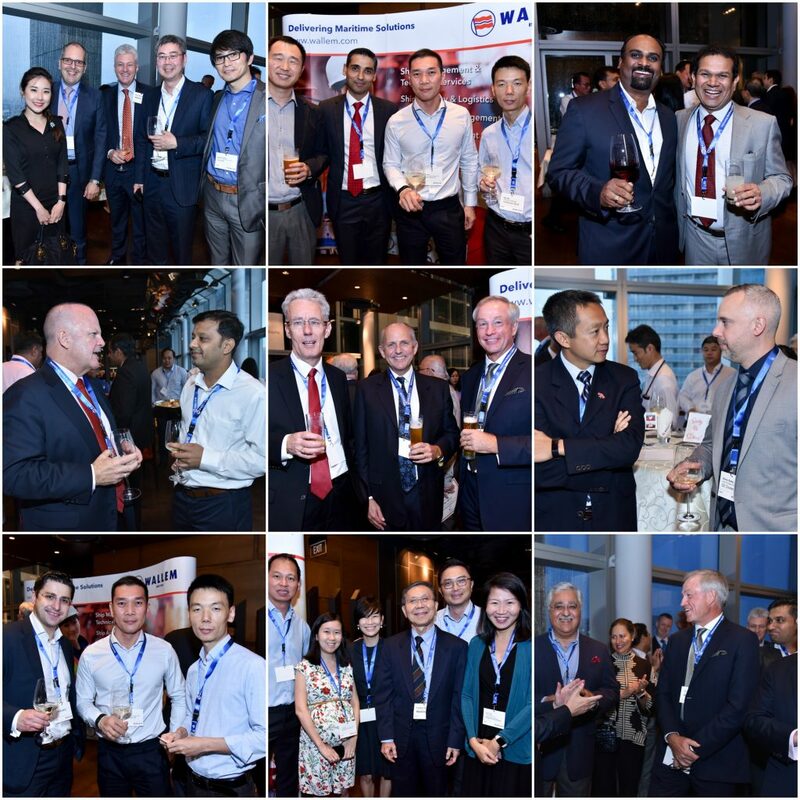 On 19th September, Wallem’s Chairman, Board of Directors and Senior Management team were joined by clients, partners, colleagues and friends to mark Wallem Singapore’s 60th Anniversary. During the event, a presentation was made to GM of Wallem Ship Agency Frankie Tan and other Long Service awardees from Wallem Ship Agency (Teo Ah Bah, Wee Bok Kee Henry, and Neo Soon Thiam), with a combined long service of almost 200 years! Our Chairman also took the opportunity to thank our CEO Simon Doughty for his service to the group over the years and announce that following Simon’s resignation in May this year that his successor had been found. Frank Coles officially starts as new Wallem Group CEO on 30th October 2018. The Wallem Singapore office is headed up by Nitin Mathur, a seasoned maritime professional, with expertise in Commercial Management, Asset Protection and Maritime Investment solutions. Nitin led Wallem’s Commercial Services in Hong Kong from 2013, prior to the team’s relocation to Singapore in 2016. Wallem’s Singapore office was set up on 1st July 1958. What began as a small office offering Ship Agency services has grown to become an Asian hub with capabilities for Ship Management, Technical Management, Ship Agency and Commercial Services; supported by our global network of 46 offices in 17 countries. Thank you to all who joined us in Singapore to mark this special occasion!